2019 is HERE. Time to at least start your planning and budget strategies. As this is December, it would be a better time to finalize and put the finishing touches on the plan for a successful 2019. 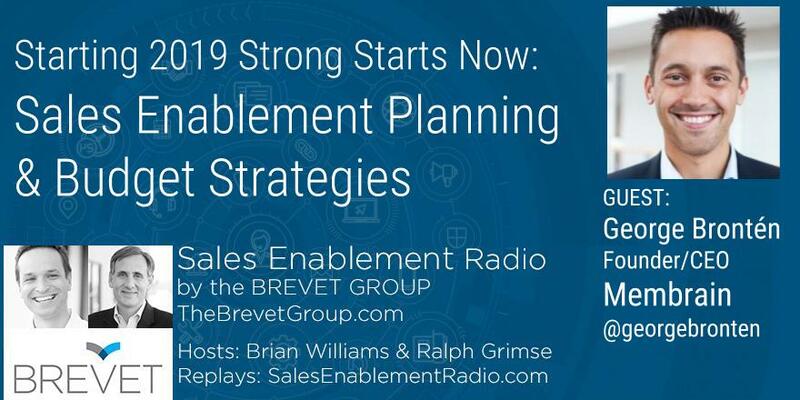 Brevet partners Brian Williams and Ralph Grimse discuss the importance for Sales Enablement functions to begin 2019 planning and the corresponding budget strategies required to ensure success. They are joined by Membrain Founder and CEO, George Brontén to discuss how technology is relevant to the discussion. A life-long entrepreneur with 20 years of experience in the software space and a passion for sales and marketing. With the life motto “Don’t settle for mainstream”, George is always looking for new ways to achieve improved business results using innovative software, skills and processes. 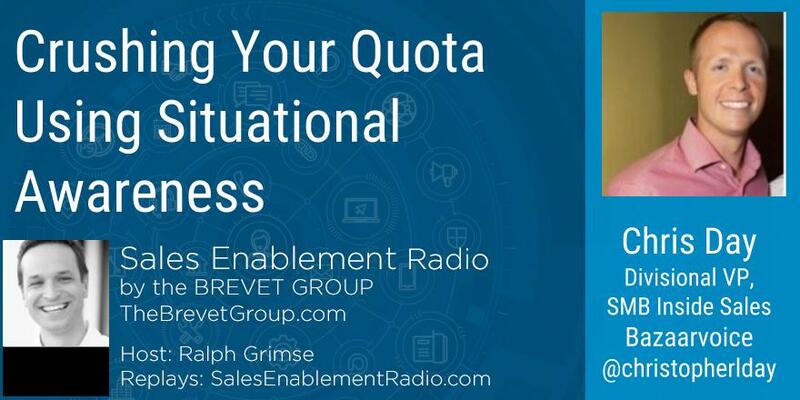 In 2008, after realizing that the sales profession needs to evolve because of the Internet and global competition, George had a vision to increase b2b sales effectiveness using modern saas technology. Since then, George and his team have worked with thought leaders and studied research to identify the success factors behind successful sales organizations and build technology to help companies to consistently reach their targets. 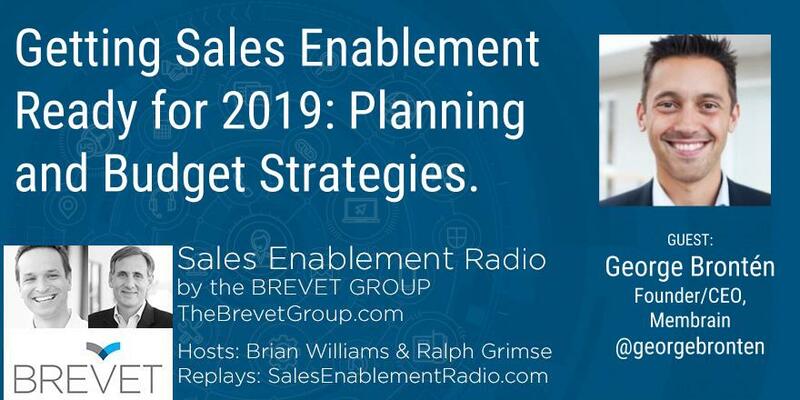 Brevet partners Brian Williams and Ralph Grimse discuss the importance for Sales Enablement functions to begin 2019 planning and the corresponding budget strategies required to ensure success. 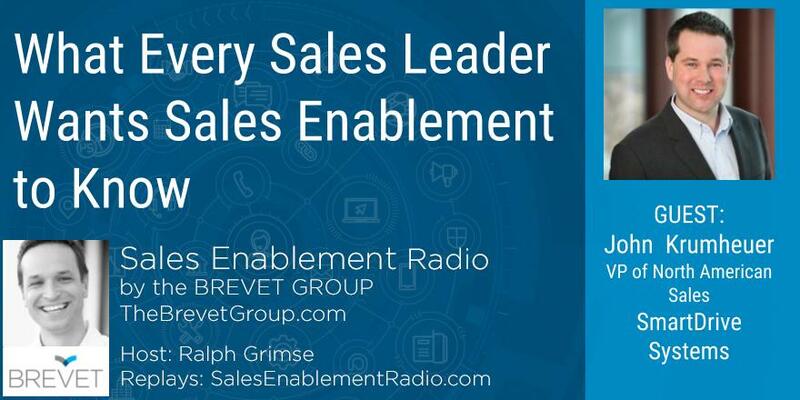 Brian and Ralph are joined by Membrain Founder and CEO, George Brontén to discuss sales enablement planning and how technology is relevant to the discussion.